COMING SOON … our much-anticipated “CHANGE YOUR FOOD – CHANGE YOUR LIFE!™ Presents: GOOD LiViN’” 16-Track Compilation Album CD. FULL of original songs by Pop, Hip-Hop, R&B, Gospel, Teen Pop, Rap and Jazz Artists CELEBRATING Livin’ The Good Food Life! 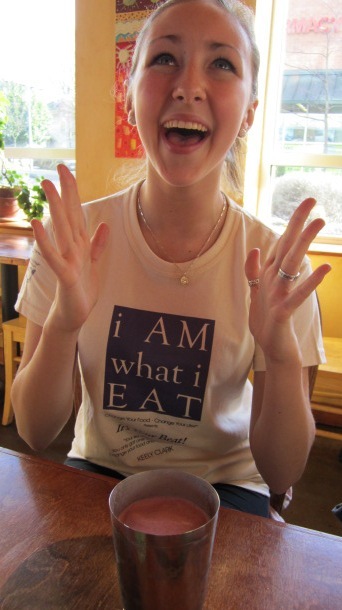 A CELEBRATION of making better food choices … ORGANIC Good Food Choices! Cooked up by Change Your Food – Change Your Life!, it’s the only one of its kind. An original. Truly unique. A multi-year collaborative project designed to share The Organic Good Food News. It’s FUN, it’s PLAYFUL, it’s TO THE POINT, it’s INSPIRATIONAL! 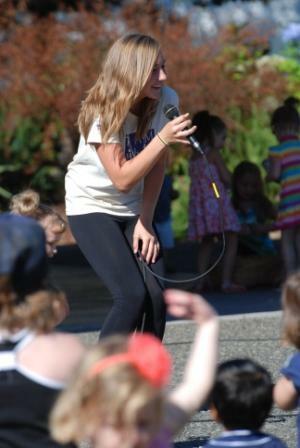 Taste of Edmonds Junior Idol Contest WINNER! • Lynnwood Arts Commission Student Showcase SENSATION! When CD is released, Album and Tracks will be available on a newly constructed Web Site, iTunes and Amazon, in Select Retail Stores, through Non-Profits and ‘Good Works’ Organizations and in support of ’cause’ Fund Raising. NOW @changeyourfood & Facebook – Follow the Artists, the Songs, the Stories, the Interviews, the Reviews, WIN Merchandise, WIN an INVITE to the Release PAAARRTY! ← So, I walk into a Bar … AGAIN!